As New Mexico’s leading association for restaurant owners – with a staff that has years of restaurant ownership & management experience – we know first-hand the excitement that comes with owning your own restaurant business. It’s exciting, but achieving success in this industry isn’t always easy. You’ve got to consider food costs, labor regulations, operations, zoning, menu planning, marketing… the list of things you need to get right can be daunting! And getting it all right can be very time-consuming, if you have to figure it all out yourself. But what if I were to tell you that increasing the profitability & success of your restaurant really only boils down to 5 simple “levers”? 1. Increase your profit margins, meaning you make more profit per each transaction. 3. Increase the amount of customers, meaning more people know about & decide to actually come in and eat at your restaurant. 4. Increase the frequency, meaning each customer comes back more often. In fact all business success boils down to just these 4 things: Higher Profit Margins, More Customers, Fewer Losses, and more Repeat Business. Of course each of these “success levers” entails many factors – so I’m about to share the ones I’ve personally seen make the most difference in the successful New Mexico based restaurants we have in our association; as well as in my own restaurant businesses, which I ran for 20 years. 5. If you’re wondering what the 5th success lever is, well it’s the overall running of your restaurant: The systems, philosophy, and day to day management that make it easier for you & your staff to successfully run your restaurant on a daily, monthly, and yearly basis. So let’s get into the battle-tested, tried and true recipe for success for YOUR New Mexico restaurant business. These tips are written by the New Mexico Restaurant Association CEO Carol Wight. 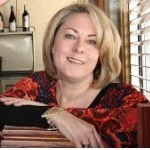 Carol became the CEO of the New Mexico Restaurant Association in 2002 and loves running the association on behalf of the restaurants in New Mexico. She spent 20 years in the industry as a restaurant owner and consultant. At 21, Carol opened her first restaurant with no prior experience in the industry. By the time she was 30 she owned three successful restaurants in Las Cruces, NM. Utilizing entrepreneurial skills and restaurant expertise, she became an international consultant in destinations like Abu Dhabi and Tokyo. These tips are based on her own experiences, as well as first-hand insight into the experiences of NMRA members. Of course running a restaurant can be thrilling in and of itself – but what’s the point if you aren’t making a good living for yourself and your loved ones? Follow the steps below to quickly start seeing more profit rolling in, in an industry already plagued by razor thin profit margins. You need to be able to calculate your food cost in order to know how you are doing. Why? Because a high food cost can eat into your profit margin, which is already quite low for restaurants! You want to reduce food costs and raise profit margins as much as possible, while maintaining quality. Doing this will really help your bottom line, and success. Food Cost Percentage Formula = (Beginning Inventory + Purchases – Ending Inventory) ÷ Food Sales. Food Cost Percentage = $4,000 ÷ $10,000 = .4, or 40%. If your food cost percentage is too high you are either not charging enough, your portions are too big or your employees could be stealing from you. In the example above, that restaurant might want to lower their food cost by 5-15%, as the average food cost percentage is 35% for a fine dining restaurant and 25% for a quick service restaurant. The most successful franchises around the world pay very strict attention to their food cost percentages & margins, which is why they are so massively profitable (think McDonald’s & Burger King). How Can NMRA Help YOU Lower Your Food Cost Percentages? Our members get access to the annual members-only “State of the Industry” report put out by the National Restaurant Association, which reveals insider-only information on national averages for food costs, for each industry segment, giving them an unfair advantage in lowering their food costs. You can use this report to ensure that your own food costs margins are where they should be, or discover if they need some tweaking. This report also gives members invaluable updates on the latest technology & food trends that they need to know about in the industry; as well as workforce outlook, consumer outlook and sales projections. Having a good Point Of Sale (POS) system will make it easier to calculate your total food sales per shift, greatly simplifying your monthly food percentage calculations. As an NMRA member, you are entitled to 10% - 25% off of the acclaimed LAVU point-of-sale system, as well as 0% financing for 36 months and interest-free payments. Rather than paying $10k per year for POS machines like some restaurants do, our members pay as little as $79/month. In short, knowledge is power - keep yourself empowered! If you are wondering about your own food cost margins or point of sale system, we have seasoned restaurant professionals with over 90 years of combined restaurant experience on our staff, happy to answer any questions. Feel free to call us directly at 505-343-9848. When it comes to increasing your profit margins, It’s not enough to know your food cost percentage - you then want to tweak your menu until your food profit is at an optimum level. It's time to give your menu a profit-makeover! Spend extra care calculating your menu prices. Slightly raise prices if you can without sacrificing quality and value. Include more high-profit dishes in your menu, if you can. A few example of popular high-profit dishes are: Breakfast items (omelets, pancakes, etc), pizza, pasta, garlic bread, soda, coffee, wine, baked goods, salads, and desserts. Include more high-profit food ingredients in your dishes. A few example of popular high-profit food ingredients are: eggs, potatoes, pasta, and carbs of all kinds. Reconsider your dishes containing more expensive food items, such as steak, lobster, truffles – are they getting ordered enough to warrant their expense? Pay attention to how many uneaten complimentary items you give away. If they tend to be left on the table, reconsider offering them. Pay attention to portion sizes – Do customers often end up with lots of leftovers? If so, consider decreasing portion sizes. How Can NMRA Help YOU Make Your Menu More Profitable? NMRA gives its members access to insider information on National Food Cost Percentages. This is insider info that helps you to choose the most profitable items for your restaurant, so you know that your profit margins are what they should be. By keeping you up to date on the statistics & trends you need to know about. For example: In a full-service restaurant the average profit margin is 6.1%, and in limited service it’s 6.6%. As an NMRA member, we give you information about local food shows for restaurants just like yours. This lets you find new sources of food items that would work great for your restaurant, and get the best price possible. Well-trained employees can make a surprising difference in how profitable your menu is. Train them on offering upsells on additional items such as coffee, drinks and deserts. As an NMRA member, you get discounts on all necessary food & alcohol safety training for managers, owners & food handlers. Want help making your menu more profitable? We'd be happy to help. Call us directly at 505-343-9848 to speak to one of our New Mexico restaurant success experts. Offering take out & catering is an excellent way to supplement your restaurant income – in fact, I’d say it’s the best way for an established restaurant to substantially increase their revenue & profits. It’s also a great way for your employees to supplement their regular hours with additional hours. Finally, catering is a way for your to gain more exposure, while creating more loyalty with your current clientele. Make sure people know about it! From signs in your restaurant, to promoting it on your digital channels - such as your social media profiles, website, and email newsletters. Create a special catering menu with easy to prepare dishes. Network With Event Planners. Event planners such as wedding organizers and others, are always looking for caterers for their clients. Consider offering special discounts to these people – they have the potential to bring in more clients that you feasibly could yourself. One restaurant owner shared that catering has kept his business profitable throughout the multiple economic downturns over the last 30 years – especially the most recent one. If it weren’t for catering, they might have gone under! Still not convinced? Think about this: Catering is a $52.3 billion business, according to Technomic. Not only that, according to the USDA, Americans increasingly consume more food away from home (from 18% in 1978 to 32% in 2008). - Both of these trends are only on the rise. Adding a catering arm to your business is like diversifying your assets and adding another stream of income to your profits. How Can NMRA Help You With Catering? Email marketing. Tell your email list about your catering services! Offer them special discounts for being on your list. NMRA offers 500 FREE emails through our Fishbowl partnership. Fishbowl makes email marketing easy, it’s specifically for restaurants and it’s made for non-technical people. $1000 in FREE Radio Advertising for NMRA members. Get the word out about your catering business in a 7 station market with Cumulus. 10% discount off of the Manager’s Red Book - an online ready-made manager checklist tool, to help you keep your catering operations organized. The final step in the profit-margin pillar, is to make sure that your local, state, and government laws aren't actively working against you when it comes to making a profit from all of your hard work. Almost every year a new proposal comes through that would be damaging to New Mexico restaurateurs. If left unchallenged, these proposals can negatively affect your profits in a significant way. It’s important to know what proposals are good for restaurant businesses, and which are not. And use our collective power to fight for our small business success – the lifeblood of the US economy! 2. Join your state restaurant association, which fights non-stop to ensure bills that are harmful to restaurant owners do not get passed. If you live in New Mexico, your association is the New Mexico Restaurant Association (NMRA). Just last year NMRA was a leader that fought and successfully defeated Albuquerque sick-leave ordinance, which would have cost Albuquerque businesses an estimated $38 million annually. Individually NMRA saved the average restaurant $10,000 annually. We could not have done this without the organized & unified front of an association, our collective power, and the help of our NMRA members. How Does NMRA Help Protect You Against Laws That Hurt Your Restaurant Profits? Representation - We makes sure that your economic interests as a restaurant owner / operator are protected at a local, state, and national level. Time & Resources - We spend the time and resources fighting harmful bills, so that you can focus on running your business. Travel - We travel to local, state, and national government assemblies to represent you and your interests to the government, so you don’t have to be there in person doing it yourself. Relationships - We make relationships with media, lawmakers, their staff, civil servants, and everyone else involved in the process of promoting and passing bills. Media & Public Relations - We have relationships with journalists and media outlets that allow us to get the word out about the causes important to our members - much more easily than any one restaurant owner would be able to do themselves. Education - It’s important to know what government processes, regulations, & upcoming proposals could hurt your business. Rather than keep on top of everything yourself, we stay on top of things to keep you informed of what you need to know. Collective Bargaining Power - Together as an association of restaurant owners, operators, and professionals; we have much more power as a group than any one of us would alone. Legislation - At the end of the day it boils down to getting the legislation passed that would help restaurants in New Mexico, and stop the ones that would harm them. So far we have realized some amazing coups – including helping to out-vote the Albuquerque forced sick leave act this past year. Want to join us and help make us stronger? Call us for a no-obligation chat: 505-343-9848. NEWS FLASH: For readers of this article only, we are offering an exclusive one-month free membership promotion! It’s a sobering fact that decreasing expenses & minimizing losses had to be the longest section of this restaurant success guide. But the happy news is that most of the following tips are actually quite easy; and low hanging fruit you can pick right NOW to decrease your own risks & losses. Even though we all live in the modern year of 2018, some restaurants are still overpaying for basic services like it’s 1999. The first step in decreasing your restaurant expenses, is to get smart about overhead costs and stop overpaying for things that you simply don’t have to anymore! Take advantage of all of the easy ways you can reduce your unnecessary restaurant overhead costs – & save yourself thousands of dollars every year. There are many costs that you might consider fixed costs in your restaurant business that could be lowered with just a bit of research & savvy. One of those savvy ways is to become a New Mexico Restaurant Association Member. For little more than $25 a month you can be a part of an association that negotiates all sorts of group discounts on your behalf, and helps you keep overhead costs low. I am always amazed that some restaurant owners are still paying thousands of dollars a year for their outdated POS (Point of Sales) systems. What a waste of money! By switching to a more modern POS system, not only can you start saving thousands of dollars per year, you can more effectively stay on top of your overhead costs too. Most modern POS systems have ways for you to monitor cost controls - like labor costs per hour and even food cost per day. We looked high and low before deciding on what we believe to be the best POS on the market for restaurant owners in New Mexico. Because of this, we highly suggest our endorsed partner LAVU for its ease of set up and use as well as its robust reporting and ease on your pocket book. Not only that, as a NMRA member, you can use this advanced POS system at a significant discount. Maybe in the past you had to pay $50k for the machines, and $10k/year for a good POS system, but as an NMRA member you can be paying as little as $79/month for one of the best POS systems on the market. How Can NMRA Help YOU Reduce Overhead Costs? Natural Gas: Did you know you can pay up to 20% less for natural gas if you use our endorsed provider? We’re not just blowing hot air: Our members are currently saving thousands of dollars per year on natural gas with this one discount alone. Workers Comp: NMRA set up a work comp self-insurance fund almost 30 years ago to benefit our members. Stop overpaying for your outdated workers comp program. Get the one that the industry professionals trust to be the fairest to restaurant owners. Music Licensing: Nobody loves to pay for music licensing, but NMRA members get up to 20% discounts on BMI and SEASAC. We know this is a painful cost, so we set out to reduce this pain (and save you money!) by offering you this members-only discount. Point of Sale System (POS): NMRA negotiated a great deal for our members with LAVU Point of Sales Systems (an international POS company based right here in New Mexico) for its ease of set-up and use, as well as its robust reporting and ease on your pocket book. Stop overpaying for an outdated piece of technology and join the savvy restaurant owners of the future. Legal Costs. You are never truly protected until you have a lawyer review all leases, employee handbooks, and other legal documents for your restaurant. But a good lawyer easily costs $250-$500 per hour. This is why we have negotiated a FREE half-hour legal consultation on any matter for all of our members. Plus you will get a discount on hourly rates from our endorsed legal team should you need a more in-depth consultation. This alone can save you thousands per year. Employee Handbook. In the age of lawsuits & “me too”, every restaurant owner needs to protect themselves with a legally sound employee handbook. Rather than pay $1500 to a lawyer, get your official employee handbook (reviewed by a lawyer with restaurant expertise) tailored to your restaurant, as a NMRA member. These are just a few ways a membership in NMRA can help you drastically reduce your overhead costs and help you stop unnecessarily overpaying for basic services. Feel free to call us directly at 505-343-9848 if you have any questions about these or any other membership benefits. In the restaurant business we need to be aware of another unnecessary but common loss that many restaurant operators are suffering from: theft from employees. Sadly it is an all-too common source of food loss and profit loss. So beyond just taking inventory monthly; it’s also important to take a quick daily inventory of high cost items and compare it to your daily sales too. This way you will know early if someone is stealing from you. You don’t need to take a full inventory every day, but do take a daily inventory of your high cost food items (such as high cost meat items like shrimp and steak). Unfortunately, I have seen many restaurant owners who have lost a lot of money by not putting a daily inventory check into place. Once they did, however, these losses were soon eliminated. Sometimes just putting the checklist together can be daunting. No worries! We provide daily restaurant inventory checklists to help you keep on top of your food costs & prevent losses, so you don’t have to create these lists yourself. Many of the NMRA staff are seasoned restaurant professionals with over 90 years of combined restaurant experience. Feel free to call us directly at 505-343-9848 if you have any questions about using managing inventory in your own restaurant. Getting licensed by the state of New Mexico to be able to serve alcohol in your establishment is a great privilege…And a potentially expensive risk. The price paid for serving to a minor, or person who is visibly intoxicated can be devastating to a restaurant. Take advantage of all of the benefits that serving alcohol brings, while eliminating its potential losses. First, talk to your employees about the importance of serving alcohol in a safe manner. Then, above all, make sure all of your employees who are serving alcohol get the proper alcohol safety training. We’ve all heard the horror stories of the drunk driver who kills a van full of students going the wrong way on the freeway. You don’t want your restaurant to be responsible for a horrific accident like this. Not only is it a senseless loss of life but the cost to our business and employees is beyond shocking. How Can NMRA Help YOU With Alcohol Safety? You get a 20% discount on all Alcohol Server Certifications (ASC) classes , as an NMRA member. This ASC discount is available for NMRA members and their employees. NMRA recently partnered with the National Restaurant Association to be able to provide ASC classes online. This makes it more convenient for your severs – and you! – to get the necessary training. As an NMRA member, the 20% discount applies to online classes too. Call our office for the discount code. 505-343-9848. Bottom line: If you plan to serve alcohol, get your staff trained. And if you get your staff trained, do it at a discount (with classes in Albuquerque or Santa Fe). To make things even easier, you can have your staff take the online class, which you also get at a discount. If you aren’t an owner, but a server yourself, ask your employer if they are NMRA members to get this member discount. NMRA has been teaching alcohol server certification (ASC) safety for almost 20 years! Insurance is the epitomy of minimizing losses and decreasing risks, so it's a key part of this pillar. But restaurant insurance is not the same as home insurance. You want to make sure that your special needs as a restaurant owner are covered! Certain types of restaurant insurance are an absolute must, others are fairly important, and still others are simply nice to have in case you need them. One of my favorite restaurants in New Mexico had a small fire in the kitchen. Had it been up to the owner, she could have had a make-shift kitchen up and running by the end of the week. Unfortunately she spent the next 9 months fighting with her insurance company to pay for the coverage. She also fought with the building code folks, since she had to bring her entire historic building up to code in order to rebuild her kitchen. If she had just had the right coverage for her restaurant, she could have saved herself all of this headache. How Can NMRA Help YOU With Restaurant Insurance? Our endorsed insurance provider is an expert at writing restaurant insurance. They will make sure you have the right coverage for your restaurant. Our self-insured workers comp company only writes for members of the food service industry. They are experts in work comp claims for our industry. They only pay legitimate claims and they help with your risk assessment. The National Restaurant Association now offers health insurance for small and large member restaurants through an association health plan. If you would like a quote on NMRA approved health insurance for your own restaurant, free to call us directly at 505-343-9848. In 1989 restaurants couldn’t find work comp insurance in New Mexico. That’s why the Food Industry Self-Insurance Fund was created by the New Mexico Restaurant Association and the Grocers Association. Since then this fund has been serving members, and giving back dividends when the fund does well. Why is using a payroll service one of the steps for decreasing expenses? Because as the owner of the restaurant, you are responsible to know how to pay your employees. Doing it wrong can mean BIG fines and penalties. Luckily having the right payroll service can make sure you are compliant with all of these rules, and keep you protected from these fines. Like I said, restaurant payroll is complicated. If you are not a labor lawyer, I highly suggest not trying to make payroll alone. Use a payroll service. A good payroll company will stay on top of all of the rules and regulations on your behalf, so that you don’t have to. Let’s face it, you have better things to do! Of course, you should do your best to be knowledgeable of current labor laws, but we recommend you outsource your payroll. NMRA recommends Heartland payroll. New Mexico has seven different minimum wages. NMRA maintains one of the most comprehensive webpages with all of the pertinent information you need to stay in compliance. Find out the appropriate overtime rules and regulations. Exempt versus nonexempt – how does this apply to your restaurant and your hiring goals? New Mexico is an “at will” state – know the essentials about termination and unemployment claims. Too many times see restaurants in the news being sued by their employees for not paying correctly. One restaurant was not paying chefs’ overtime because they were on “salary”. Unfortunately those chefs didn’t qualify for an overtime exemption and the restaurant owed $114,000 in back pay. Don’t let this be you. How Can NMRA Help YOU With Payroll? We help protect our members against payroll lawsuits - and lawsuits of any kind - by providing them with a customized employee handbook created by a New Mexico attorney, specifically for your restaurant. This is a $750 value and it’s FREE to all NMRA members. The employee handbook has an arbitration policy that employees sign when they start work. This policy requires employees to seek arbitration rather than sue you in court for any labor dispute. This alone is worth your membership investment! We also have a special relationship with Heartland Payroll Services, to provide what we believe to be the best payroll services specifically for restaurants in New Mexico. Feel free to call us directly if you have any questions about employee handbooks or labor laws, in Albuquerque or New Mexico: 505-343-9848. We already touched on employee policies above, but this is important enough to deserve its own section. Sexual harassment is BIG news nowadays, and restaurants are far from immune. Remember it’s not just you. You may be harassment free - but you are also responsible for how your managers behave as well. Having an Employee Handbook & key employee policies in place are crucial to minimizing potential losses due to any potential lawsuits. In the era of “#MeToo”, having an employee handbook outlining codes of conduct is more important than ever. Do you have your critical policies in writing where others have access to them? Do you have a written open door policy? An attendance and absence policy? Most important an arbitration policy and consent signed by employees so they can’t sue you? You don’t want to end up being on losing end of the of the “#MeToo” movement. Put rules in place that will protect employees and yourself, both from predators and lawsuits. And of course, always be proactive to protect yourself from Employee Lawsuits by always acting with integrity and having Employment Practices Liability Insurance. Unfortunately there are too many front page examples of sexual harassment in the restaurant industry. Fortunately the National Restaurant Association has a ServSafe workplace training on Sexual Harassment. Get familiar with this training and require it for your managers and employees as well. The cost of non-compliance is too high, don’t let your restaurant be plagued by #MeToo lawsuits. How Can NMRA Help YOU With Your Restaurant Employee Policies? The number one way is by giving you the exclusive benefit of a customized employee handbook created by a New Mexico attorney, specifically for your restaurant. This is a $750 value and it’s FREE to all NMRA members. The employee handbook also has an arbitration policy that employees sign when they start work. This policy requires employees to seek arbitration rather than sue you in court for any labor dispute. The NMRA members only Employee Handbook also has a sexual harassment policy, along with all of the other key policies. Get your custom one today! Your membership in NMRA makes you a dual member of the National Restaurant Association as well. You can take advantage of all the member discounts for online sexual harassment training. The final way you can protect yourself against unnecessary losses is to ensure your restaurant's good reputation. Not only is it dangerous to the health of your customers, not following safety procedures can be seriously damaging to your restaurant’s public image. Don't let an accidental safety slip mishap turn into a devastating blow! A trained staff is your first line of defense. Make sure that all of your staff has the proper food safety & handling training. Check out the State of New Mexico’s Person-In-Charge Fact Sheet for more information. Train your staff with ServSafe food handler classes. Train your PIC and managers in a state approved nationally certified NMRA class. We’ve seen many recent stories of food safety scandals that have permanently damaged the restaurant’s reputation, from which they never fully recover. Just one example is the Mexican restaurant chain Chi-Chi’s, which was bankrupted by the largest outbreak of Hepatitis A in U.S. restaurant history, in 2003. Four people died, one needed a liver transplant, and hundreds were sickened. This was a blow Chi-Chi could never recover from. How Can NMRA Help YOU With Food Safety? NMRA makes this necessary education cost much more affordable for you. We offer discounted food safety & handling classes to all employees of NMRA members, at a discount. Feel free to call us directly at 505-343-9848 if you have any questions about our classes, food education programs, or food safety issues in general. Exclusive Offer: For readers of this article only, we are offering an exclusive one-month free membership promotion! Finally the exciting part! If you’ve been running your restaurant for awhile, you probably already have your regulars; as well as foot traffic from your area. Location can really make or break a restaurant’s success. Sometimes it’s having enough parking to fill the seats in your restaurant. Other times it may be the ease of access. Don’t just pick a location because it’s turnkey. Make sure you do your homework. If you already have a location, think about how you could improve it with each of the criteria below. 2. Parking – Imagine you have a completely full house and every seat is filled. Is there enough parking for every single one of your patrons? Make sure the land you buy includes this critical space. In the United States people will choose to go to another restaurant if parking looks like too much of a hassle. 3. Accessibility & Convenience – Let’s face it: people want things to be easy. Make sure there is convenient ingress and egress for your customers, including those with disabilities. If you have to make three U-turns to get into your parking lot, it doesn’t matter how great your food is, people will follow the path of least resistance. 4. Surrounding Businesses and Direct Competitors – How are other businesses doing in your same area? Are they thriving? Going out of business? This can tell you a lot. Also look out for direct competitors in the area. You might not want to open a pizza place directly in front of Pizza Hut. You want the other businesses that rely on foot traffic to be doing well, but you don’t want too many identical competing businesses, either. 5. Building Condition – It might be the quaintest & most charming space this side of French Provence, but don’t let your love of the atmosphere blind you to the actual conditions of the building. Check that the building is in good repair and that leasehold improvements are reasonable. 6. Zoning. You might be surprised to learn that zoning of restaurants is different in Albuquerque than the rest of New Mexico. Often you need to know your local zoning laws, on top of your state & federal ones. And sometimes the location that clearly looks like it was meant to be a restaurant might not be zoned correctly for one. You need to know all of this before you buy. 7. Legal Protection. In short, HAVE A LAWYER REVIEW YOUR LEASE. Nothing beats the professional eye of a seasoned lawyer who will protect you against any hidden pitfalls you may have missed. I recently saw a news story about a restaurant that had to move from a successful location TWICE because he didn’t have a lease that protected him from his landlord. Can you imagine finally establishing your restaurant and your landlord leases your restaurant space right out from under you? How Can NMRA Help YOU With Your Location? NMRA has some of the top lawyers with restaurant expertise in New Mexico as part of our own legal team - and as a NMRA member, you get access to this same legal counsel at a dramatic discount - critical when dealing with property and location issues. What’s more, our members get the first half-hour with a lawyer for FREE. Just the cost of one-half hour of personalized legal help can be worth the cost of our basic yearly membership alone. To find out more about this and other NMRA membership benefits call us directly at 505-343-9848 to get any of your questions answered. So you have your menu, a great location, and your food costs are down. You’re all set for success right? If only! Don’t make one of the biggest mistakes we see new (and seasoned!) restaurants make, which is to completely neglect the MARKETING part of the restaurant success equation. In an ideal world, all that would matter would be the cuisine you serve and the space you have created. But in the real world, you simply must give time and energy to marketing your restaurant too. Not only to get customers through the door – but to keep your current ones coming back for more. But with all of the other pressures and demands on your time, how do you make time for marketing? And what exactly should you be doing to market your restaurant? Make marketing a priority. Good marketing doesn’t just happen by itself. You as the owner or operator have to make it a priority. Restaurants that have a marketing editorial calendar keep their marketing focused & easier to manage. We suggest having a basic editorial calendar of monthly themes, and then doing as much as you can to promote your themes through social media, email marketing, radio and TV. Social media is key to connecting with and engaging your customers today. Take & share photos and videos of happy customers enjoying their special moments in your space. Collect your customer’s emails. If they’ve already bought once, they are more likely to come back. They love to hear from you especially when you offer them a discount. Keep in touch with them frequently, and you will stay top of mind. Use local radio, TV, and print ads to get the word out about your restaurant. Cable TV is fairly cheap and you can better target your market. ROI – Keep track of your marketing activities and measure the return you get from each campaign. This is easier to do if you have an editorial calendar. Make yourself visible online, where people are looking – Yelp, Google, Google Maps, Google Reviews… People are already looking for restaurants in these places – make sure you have a presence, and respond to both positive and negative reviews. How Can NMRA Help YOU With Your Restaurant Marketing? Email marketing has been proven to be one of the most effective marketing tactics for restaurant owners, to get new business as well as current customers coming back for more. Because of this, NMRA offers 500 FREE emails through our Fishbowl partnership. Fishbowl makes email marketing easy, it’s specifically for restaurants and it’s made for non-technical people. All you do is set up a fishbowl for your customers business cards, send the cards to Fishbowl, they add the contacts to your email list and give you easy to use email templates for you to message your customers. It’s that easy. We also have negotiated $1000 in FREE Radio Advertising for you. So you can get the word out about your restaurant, in a 7 station market with Cumulus. We have also created a restaurant marketing editorial calendar template, which you can easily personalize to your own restaurant, and use to get your marketing focused once and for all. We also showcase our members’ restaurants on our social media channels, our blog, and in our newsletter, giving them additional free publicity. If you’re interested in learning more about restaurant marketing or any of these member benefits, call us directly at 505-343-9848 to get your questions answered. With a little creativity, you can come up with even more appealing promotions that will attract new customers. Have fun with it! Make a big deal out of big events. NYE, Christmas, The Superbowl, The Royal Wedding… Anything can be a cause for celebration - and a special promotion! People want to go out and celebrate these events with their friends and family. Why not at your place? Happy hour, happy restaurant. Happy hour is a great way to treat your current customers right, and get new ones through the door. If it makes sense with your restaurant, create or make a bigger deal out of your own happy hour. Offer birthday specials. If you have a system to collect your customer’s email & information (we recommend Fishbowl), you can also gather their birthdays, and then send out emails offering special birthday promotions. They’ll bring their friends & family along for the celebration! Have monthly promotions that you can easily track via all your marketing channels. If you follow our advice to have a marketing editorial calendar, you can then easily track those marketing promotions by using special codes. For example, if May is your month for “Mother’s Day” specials, state in your Social Media, print, radio and TV ads that by mentioning “mother’s day special” they get 10% off of their meal. Have your servers ask them where they heard about the special. This will give you an idea of which marketing channels are working best for you. How Can NMRA Help YOU With Your Restaurant Promotions? Email marketing. NMRA offers 500 FREE emails through our Fishbowl partnership. Fishbowl makes email marketing easy, it’s specifically for restaurants and it’s made for non-technical people. $1000 in FREE Radio Advertising for NMRA members. Get the word out about your special promotions in a 7 station market, with Cumulus. Add your promotions to the restaurant marketing editorial calendar template, which NMRA offers for free to its members. Use to get your marketing focused once and for all. Special Offer: For readers of this article only, we are offering an exclusive one-month free membership promotion. You may be surprised to learn that one reason people stop coming back to a restaurant has nothing to do with the food, location, or even the prices. It’s how they were treated by the staff of that restaurant! Rude or slow servers can kill your repeat business. Fortunately there are great people out there that want to work in our industry. Even better, you have all sorts of training and workforce development available to you to make your good employees great. Hire for attitude, train for skill. A high school student with the right attitude can beat a seasoned server with a bad attitude. Empower your employees to make things right if customers complain. Teach them how to deal with difficult customers and back them up when they need help. Use the 3-step customer complaint protocol: Listen to their version of the problem, acknowledge the problem using their words, and then provide a solution immediately. Set a good example. Have you ever heard the saying “A fish stinks from the head”? The same goes for your restaurant business. If you have disdain for your customers so will your staff. Remind your staff that your customers might be “hangry” when they come in your door - get them something to eat, treat them with friendliness, and watch them relax. I know a restaurant executive who took a complaint from a customer saying that they got home with their take out meal and it was missing two tacos. He immediately asked for the customers address and showed up at her house with a dozen tacos. He made a customer for life. Take that little extra step with your customers & watch them pay you back ten-fold with good will and patronage. How Can NMRA Help YOU Hire Better Employees? By giving you access to the National Restaurant Association restaurant apprenticeship program to help create a path to leadership for your employees. This program pays you to train your next manager. In the NMRA ProStart program we have over 30 high schools and 1,500 students throughout the state participating in our culinary and restaurant management program. These kids have what it takes to excel in our industry. NMRA has a job board that we promote on our facebook page, Serving New Mexico, with over 6,900 followers. Let us help you promote your next job. Get discounts on employee & manager training as an NMRA member. One day customers rave about you, the next day you get a scathing Yelp review. Why is that? Inconsistency of service & protocol is likely the root cause. What gets checked gets done…from side-work checklists to food safety temperature checks, make sure someone is responsible and then hold them accountable. Standard Operating Procedures (SOP) are critical in the restaurant industry, and used by all of the most successful restaurants we have seen. Just coming up with WHAT to put on your checklist can be a time intensive task. If you are struggling to come up with your own checklist checkout the Managers Red Book (MRB) by HotSchedules. These checklists help you create a culture of shared goals, best practices, effective communication, vision, recognition, and values. By doing this, you ensure an exceptional customer experience in your establishment, consistently across one or more locations. Not to mention, these lists help you keep track of critical information & KPIs; and keep your employees & managers accountable. How Can NMRA Help YOU Use Checklists & Protocol? We are so impressed with the Managers Red Book (MRB) tool, that we have negotiated a 10% discount for members to take advantage of this ready-made manager checklist. With the Manager’s Red Book, your locations can track critical information, improve shift-to-shift communication and increase employee accountability – all from one convenient location. Yes, it’s old school, but there’s something about holding a card in your hand that makes it seem that much more valuable. How many times have you or somebody you know gone to a specific restaurant solely because you had a gift card, or a loyalty card you wanted to get fill up? The fact is, cards bring people in the door! You don’t have to go fancy with your loyalty cards. Just a simple stamp and card are enough. When they have enough stamps they get a free or discounted item. Train your staff to mention both gift cards and loyalty cards to patrons. Consider offering your gift cards online too. Try offering special holiday themed gift cards – Mother’s Day, Father’s Day, Christmas, Hanukah…This will make the gift more special both for the buyer and receiver. How Can NMRA Help YOU With Your Gift & Loyalty Cards? Our credit card partner, Heartland, has gift card capability. We can connect you right away. Even if you have the best marketing and menu in place, the actual running of your restaurant can be a challenge. Make it easier for yourself in every way that you can! Unfortunately 60% of restaurants fail in the first year and 80% fail in the first 5 years. The odds are not in your favor. Even if you already have been running your restaurant successfully for awhile, there are probably problems that you are currently facing that another restaurant owner has already successfully overcome. Why figure it out all by yourself when you can take advantage of others’ hard-earned knowledge? Knowing what you are getting into ahead of time is critical to your success. There is much to know about running a restaurant. It’s much more than knowing how to cook. It’s as if you are managing a manufacturing plant and a retail outlet in the same building with lots of employees and lots of potential pitfalls. All of which you can only learn by, well….DOING it! If you can, get experience in a large franchise restaurant. Chains have the best operations procedures and systems that have already been pre-tested and proven successful. This can be an invaluable education. If you can’t work in the industry for years, you can achieve a similar benefit by speaking with other seasoned owners and getting hard-earned knowledge from people who are in the trenches. The fastest way to do this is to attend industry networking events, and to join membership organizations that give you direct access to high performers in the restaurant field. If you can spend time in the industry before you make the move to ownership you save yourself a lot of headaches and potential failure. If you don’t have the experience needed be sure to partner with someone who knows the business so you can be successful. When I started my restaurant I personally had no experience. But my husband, who was my partner, had been in the industry for years. He had worked at a major chain restaurant and brought many of their systems to our restaurant. What we didn’t know we learned by making friends with other restaurateurs through our membership in the New Mexico Restaurant Association. Belonging to the association gave us access to insider news, regulatory updates, negotiated discounts, discounted food safety and alcohol classes, and many other wonderful restaurateurs we still call friends today. How Can NMRA Help YOU Connect With Success? Joining the New Mexico Restaurant Association is the easiest & fastest way to connect with, talk to and learn from other more seasoned restaurant professionals across the state. The knowledge you gain can literally mean the difference between failure and success. What’s more, the ability to call the association at any time and ask any question of the NMRA staff - who is in the thick of what it takes to run successful restaurants in New Mexico on a daily basis - is invaluable. Your association has a service pledge to get back to members within 24 hours with answers to your most pressing questions. You always have somebody at your back when you belong to the NMRA. Feel free to call us directly at 505-343-9848 if you have any questions about NMRA membership, or anything else about running a restaurant in New Mexico! It’s hard to keep on top of all of the moving parts of running a restaurant! But checklists can make a smooth running operation so much easier. What gets checked gets done. From side-work checklists to food safety temperature checks, make sure someone is responsible and then hold them accountable. This is a repeat of a previous tip, but it’s important enough to mention again: Standard Operating Procedures (SOP) are critical in the restaurant industry, and used by all of the most successful restaurants we have seen. Just coming up with WHAT to put on your checklist can be a time intensive task. If you are struggling to come up with your own SOP checklists, checkout the Managers Red Book (MRB) by HotSchedules. How Can NMRA Help YOU With Your Operations? This guide to your success was obviously written by the New Mexico Restaurant Association because we want our members – and all restaurant owners in New Mexico - to succeed beyond their wildest dreams. Being a member of our association can help you do just that. From lobbying, to create real policy change in Washington and the state capital, to getting you dramatic discounts on necessary overhead costs, to giving you access to the best employee training available today, and more. We are proud to say that the mere hundreds of dollars an annual membership costs, gives our members thousands of dollars in savings….As well as crucial benefits every single year. If you are a restaurant owner or professional in New Mexico, becoming a New Mexico Restaurant Association member, is simply a no-brainer. The return on investment is priceless. To learn more about membership, or join the New Mexico Restaurant Association: click here. To ask us any question about NMRA membership, or running a successful restaurant in New Mexico, feel free to all us directly at 505-343-9848. How Can NMRA Help YOU As Your State Restaurant Association? Our entire focus is on making New Mexico Restaurant owners, operators, and professionals more successful! To discover even more ways that you can benefit from an NMRA membership, schedule a free restaurant consultation call HERE.